Which is the better gift, the comb or the pocket watch? 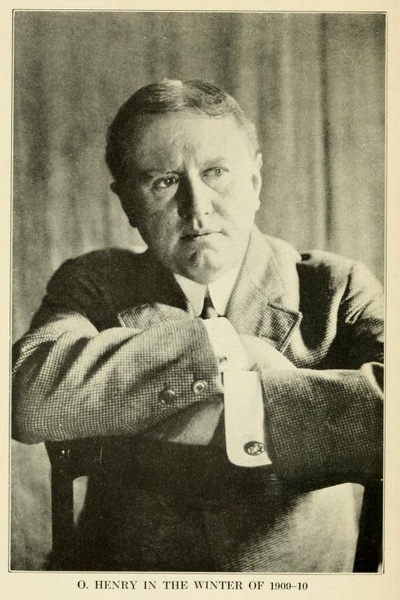 O. Henry's short story, The Gift of the Magi (1905) offers a memorable ironic twist. We hope our study guide is particularly useful for teachers and students to study irony and appreciate O. Henry's clever literary devices. Della Dillingham - The young woman, married to Jim, whose prized possession was her long, beautiful hair. 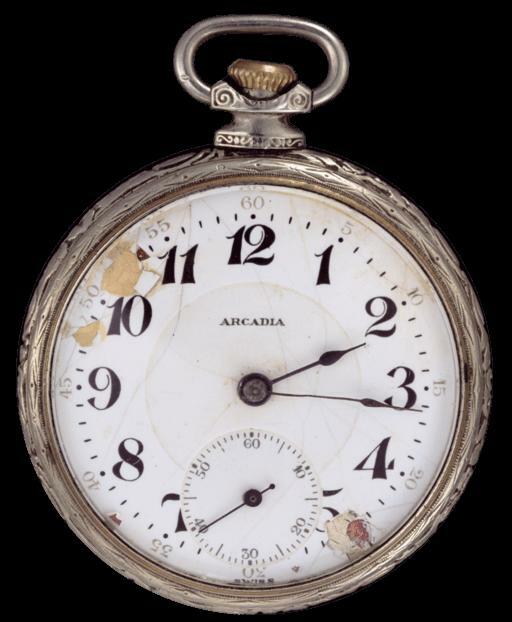 Jim Dillingham - The young man, married to Della, whose prized possession was an old pocketwatch with a leather strap. Plot Summary: Jim and Della Dillingham are a poor, young married couple who don't have enough money to buy Christmas gifts. Both sell their most prized possessions in order to pay for a gift for the other at Christmas time. While The Gift of the Magi certainly falls in the fictional short story genre, it employs what could be called a sub-genre of "dramatic irony." Dramatic irony is where the reader learns a secret that the main character(s) don't know about yet. Without the other knowing, both traded their most valuable possessions (priceless) for a gift that could no longer be used by the other because that person gave up their own possession. We wish we could stop Della from selling her hair, or Jim from selling his watch, but we can't. That's what makes for an engaging storyline that keeps us hooked. We want to know how they'll react when they find out. "...already introduced to you as Della"
"Perhaps you have seen a pier-glass in an $8 Bat." "Oh, and the next two hours tripped by on rosy wings. Forget the hashed metaphor. She was ransacking the stores for Jim's present." Similes - Comparing Della's hair, "rippling and shining like a cascade of brown waters" and describing herself after the haircut: "[I] look like a Coney Island chorus girl." Describing Jim standing still, "as immovable as a setter at the scent of quail." Magi is Latin, meaning skilled magicians, astrologers. Singular is "magus" which is the Persian root from Indo-Iranian "magh" which means powerful and rich, expressing ability. The Latins called them wise men, the Persians called them Magi. "The three pagan kings were called Magi not because they were magicians but because of the great science of astrology which was theirs. Those whom the Hebrews called scribes and the Greeks, philosophers, and the Latins, wise men, the Persians called Magi. And the reason that they were called kings is that in those days it was the custom for the philosophers and wise men to be rulers." "One dollar and eighty-seven cents. That was all. And sixty cents of it was in pennies." "Whenever Mr. James Dillingham Young came home and reached his flat above he was called 'Jim' and greatly hugged by Mrs. James Dillingham Young, already introduced to you as Della." "Had King Solomon been the janitor, with all his treasures piled up in the basement, Jim would have pulled out his watch eveyr time he passed, just to see him pluck at his beard from envy." 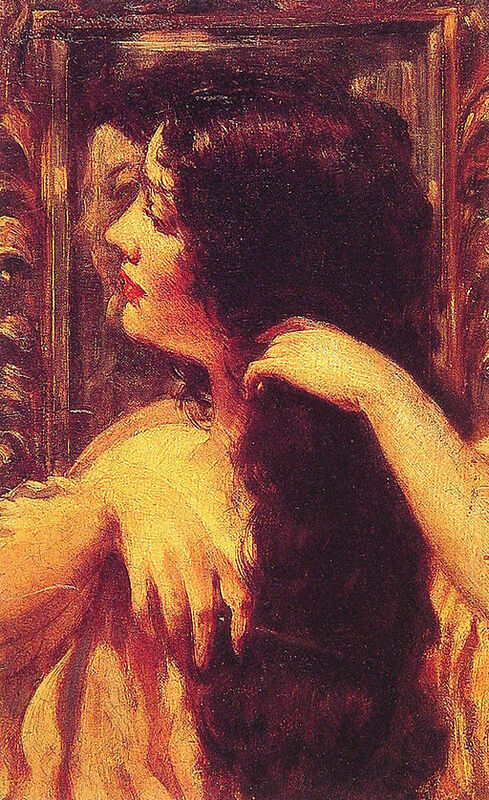 "So now Della's beautiful hair fell about her, rippling and shining like a cascade of brown waters. 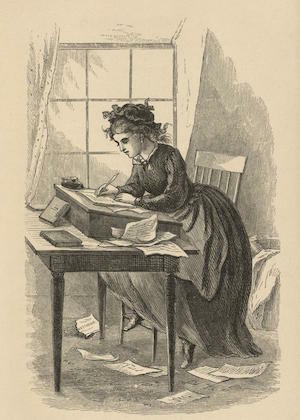 It reached below her knee and made itself almost a garment for her." "'I buy hair,' said Madame. 'Taker yer hat off and let's have a sight at the looks of it.'" "As soon as she saw it she knew that it must be Jim's. It was like him. Quietness and value--the description applied to both." "Don't you like me just as well, anyhow? I'm me without my hair, ain't I?" "Eight dollars a week or a million a year—what is the difference? A mathematician or a wit would give you the wrong answer." "The dull precious metal seemed to flash with a reflection of her bright and ardent spirit." "Let's put our Christmas presents away and keep 'em a while. They're too nice to use just at present." 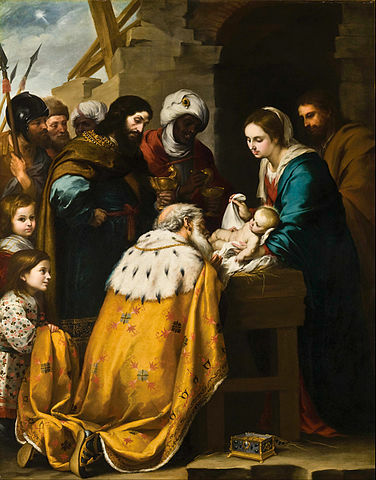 "[The magi] invented the art of giving Christmas presents. 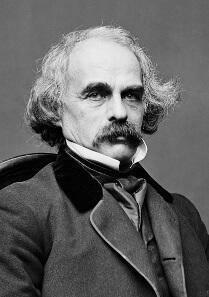 Being wise, their gifts were no doubt wise ones, possibly bearing the privilege of exchange in case of duplication." "But in a last word to the wise of these days let it be said that of all who give gifts these two were the wisest." Why is this amount both important and unimportant in the story? 2. Define irony and how O. Henry's employs it in the story. 3. Discuss the themes of sacrifice and love in the story. 4. Do Della's and Jim's reactions to their predicament giving up their most valued possesions for gifts that are now useless surprise you? Rather than be angry at eachother or sad, Jim suggests they put the presents away for awhile and says, "And now suppose you put the chops on." How do material possessions compare to their true love for one another? 5. 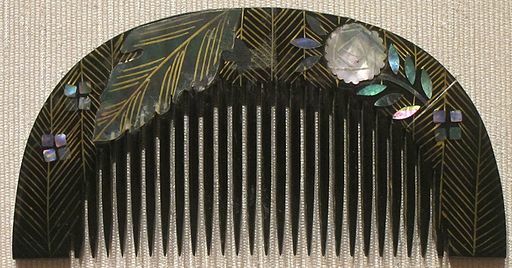 Della coveted the hair combs without the least hope of possession, and now that they were hers, she couldn't use them. Think of a situation in your own life that might be defined as ironic. 6. Why did O. Henry choose this simile? 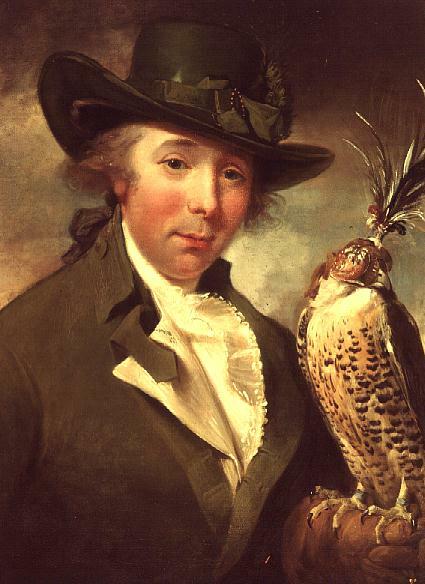 "Jim stopped inside the door, as immovable as a setter at the scent of quail." "And the mother wondered and bowed her head, and sat as still as a statue of stone; her heart was troubled yet comforted..."
9. Describe the meaning of "wise" in the story. What does "word to the wise" mean (still a commonly used idiom)? 10. What's the definition of a "meaningful gift"? Why do you think this story is particularly touching at Christmas? 11. Compare the elements of irony in Federigo's Falcon with The Gift of the Magi . Identify literary devices used by each author to engage his reader in the protagonists' plight. 12. 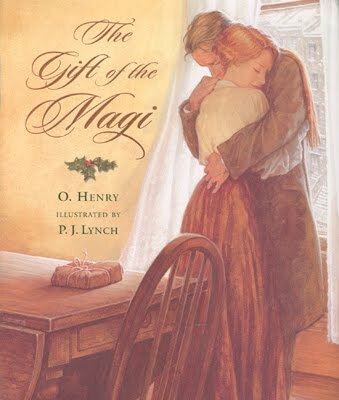 Read O. Henry's story, The Last Leaf , compare its themes of sacrifice and irony with The Gift of the Magi . Essay prompt #1: Describe your own philosophy of gift giving (and receiving) and what makes for the most meaningful gifts. Relate your experiences to the story. Essay prompt #2: Think of an incident which you consider ironic in your own life (or relate a movie or story where irony is central to the plot). Why is irony so appealing to readers/viewers? Discuss how coming to terms or resolving the conundrum is important. When comparing uses of dramatic irony, discuss plot, themes, the role of irony in engaging the reader, and contrasts that make each story unique.